CSS CORP Walkin Drive | International Technical Support Jobs in Chennai | 11th to 13th October 2017. CSS CORP has issued an official notification to recruit the capable candidates for the role of Associate, Senior Associate – (Technical). Candidates who had successfully completed the BE, M.Com, B.Tech, MCA in the year 2017, with minimum 60% aggregate are eligible to attend for the latest walkins in Chennai. Candidates who are going to appear for CSS CORP Recruitment those candidates must have good communication skills. Graduation is mandatory for these latest job openings in CSS CORP. Contenders who will perform well in the selection process they will appoint for Associate, Senior Associate – (Technical). Having Good Understanding of OSI Layers, Types and Classes of IP Address, Subnet would be an added advantage. Before going to attend for the CSS CORP Recruitment have a glance on these CSS CORP Placement Papers and CSS CORP Test Papers. It will help the contenders during their preparation. Candidates need to do more practice to get selected in the CSS CORP Company. For more updates regarding CSS CORP Careers keep on visiting All India Jobs for latest current updates. 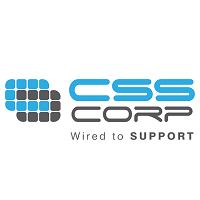 CSS CORP hiring for International Technical Support. Excellent Communication for voice support. Should be willing to work in US, UK time zones (24/7 environment including rotational night shifts). The Customer support representative will be responsible for identifying the issue with the customers and routing them to the available engineer, when necessary. They will create, manage tickets for the issues that the customer contacts. They will act as the first point of contact before the customer reached the TAC. Their job will also involve creation of licenses and support accounts to the clients world wide. At CSS Corp, every moment is exciting because we breathe innovation. We are reimagining customer engagements with focused adoption and investments in automation, analytics, and digital technologies. It is no wonder that Gartner has positioned us as a ‘Cool Vendor’. Recently Forrester recognized us, as a “Key Player” in Cloud Migration Services. Similarly, NelsonHall acknowledged CSS Corp as a “Leader” in Cloud Infrastructure Migration and Management. Our associates take pride in being part of the versatile and vibrant work environment we foster. We have been recognized by Times Ascent as one of the top 10 ‘Dream Companies to work for’. CSS CORP is conducting walkin recruitment on 11th to 13th October 2017 in Chennai. Interested contenders can check the details and attend for the CSS CORP Walkin Drive for International Technical Support Jobs. Carry a copy of updated CV. Education certificates (X, XII & Degree) photocopies. Hope this article is useful for the contenders. CSS CORP is conducting walkin recruitment to recruit capable candidates for International Technical Support Jobs. Qualified and eligible aspirants can attend for the CSS CORP walkin on given dates. Any doubts let us know through comment box on our site.